What is the first moment of 愛 relationship Nagisa-Tomoya? This Recipe will 表示する あなた how to make Dango. Like the ones あなた see in Clannad/Clannad After Story. Nagisa Furukawa Okazaki's favorite. リンク to the Recipe to make Dango. あなた can even make Dango sweet キャンディー as well. She's Tomoya Okazaki's main 愛 interest, and the one who he ends up with in the anime. She's always been a weak, sickly girl, but possesses an inner strength that barely anyone gets to see. She's unbelievably tolerant and kindhearted (to a fault, at times). Nagisa Okazaki (née Furukawa) is truly one-of-a-kind. However, with 愛 always comes hate. Nagisa doesn't receive "hate" per se, but there are certainly those who prefer Kyou, Tomoyo, Kotomi, または even Fuko. The reason? Mainly, it's due to her so-called boring personality. 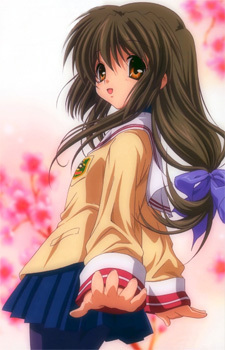 So as あなた may または may not know, Visual Art's Key produced an "after story" for Sakagami Tomoyo called Tomoyo After. This VN was created quite a while back, but recently, an English translation was completed によって Doki subs. Now the game is not 100% flawless there are minor errors that may または may not be fixed in later patches. あなた can learn もっと見る about them link. こんにちは guys this is my first fanfic on Fanpop! This story takes place not to far after Ushio is born. Disclaimer: I do not own Clannad Key animations does. Well enough ramblings from me enjoy! a comment was made to the poll: What do あなた prefer? Who does the voice of Fuko Ibuki?